08 April 2014, 11:11 a.m. The CEOs of leading companies are already striving to create an agile business model - one that responds quickly to competitive pressures and shifting market demands. Commercial agility often requires a corresponding accelerated business technology deployment. Meaning, the IT requirement is for applications to be provisioned in hours - not weeks or months. That's a tall order for many corporate IT departments. Regardless, it must be done. More often than not, it's accomplished via a cloud services-based methodology. Savvy executives that proactively migrate their IT infrastructure to a cloud-centric architecture will generate new revenue that could surge by a factor of three from 2011 to 2017, according to the latest market study by IHS. Global business spending for infrastructure and services related to the cloud will reach an estimated $174.2 billion this year - that's up by 20 percent from $145.2 billion in 2013. By 2017, enterprise spending on the cloud will reach $235.1 billion - that's triple the $78.2 billion in 2011. "With the cloud touching nearly every consumer and enterprise around the globe, spending for cloud-related storage, servers, applications and content will be dedicated toward building a framework that is rapidly scalable, highly dynamic, available on-demand and requiring minimal management," said Jagdish Rebello, senior director and principal analyst at IHS. Spending on cloud services, applications, security and data analytics will account for a larger portion of total IT expenditures undertaken by enterprises - which are currently valued at $2 trillion. The cloud is becoming a critical cornerstone in the strategies of those wishing to offer online storage, computing, analytics and provisioning services. This is because the vast amounts of content now being consumed on mobile devices - such as smartphones and tablets. All business vertical market sectors are now adopting public or private cloud services. Also, the number of global consumer subscriptions to the cloud will jump to 730 million in 2014 - that's up from 630 million in 2013, representing a potentially vast base of new users. Amazon, as an example, offers a huge range of offerings. Transforming even a casual user of the online giant’s cloud services could result in an endless stream of future revenue as the user becomes a loyal and permanent client. 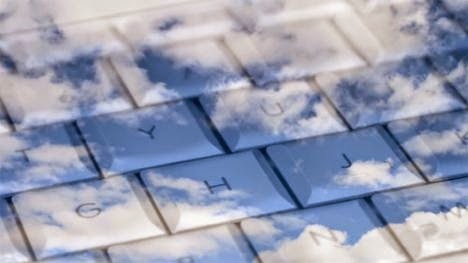 According to IHS, among the various stakeholders involved in delivering cloud offerings, wireless network service providers are viewed as being well-situated to provide online cloud storage. Armed with a cloud capability, wireless providers can reduce their subscriber churn and seek out demographic information to help them create new tailor-made offerings. By using big data and associated data-analytic tools, they could use their market insight to provide truly differentiated services. But wireless providers have lagged behind in cloud. As a result, these network operators are missing out on cloud-related revenue - which is going instead to rival factions of the mobile value chain. A new Open Hybrid Cloudparadigm will likely lead the next wave of cloud service adoption. IHS says that issues of security and compliance must be fully addressed. All told, cloud services are definitely on an upward trajectory during the remainder of 2014.